Welcome!!! 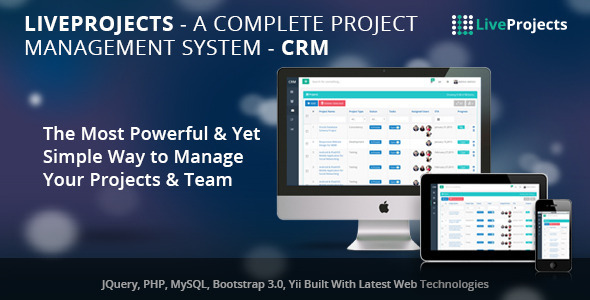 LiveProjects is A Complete Project Management & Task Management CRM Get Organized & Get Stuff Done! LiveProjects helps you take back control. The Most Powerful High-Performsance & Yet Simple Way to Manage Your Projects & Team LiveProjects was created because we wanted to develop an excellent system that is both Powerful and User friendly the same time. The product should help us in running the business in a better way. LiveProjects is practical software that gets you organized so that you can reduce unnecessary meetings and simply Get Things Done. By using LiveProjects, your team will be organized and your business will take off.